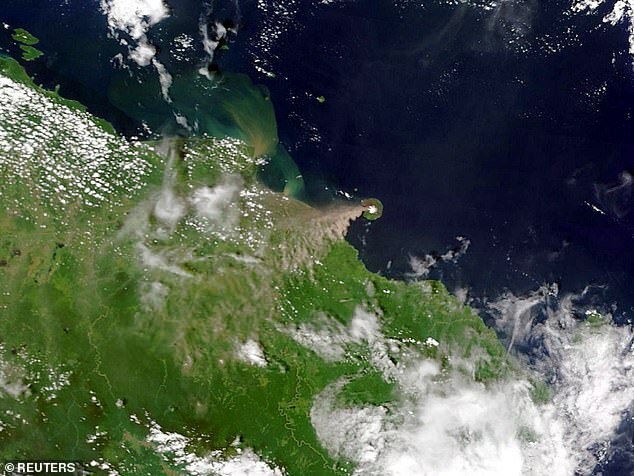 One of Papua New Guinea’s most active volcanoes has erupted pummelling villages on a remote island with volcanic rock before subsiding, authorities said today. 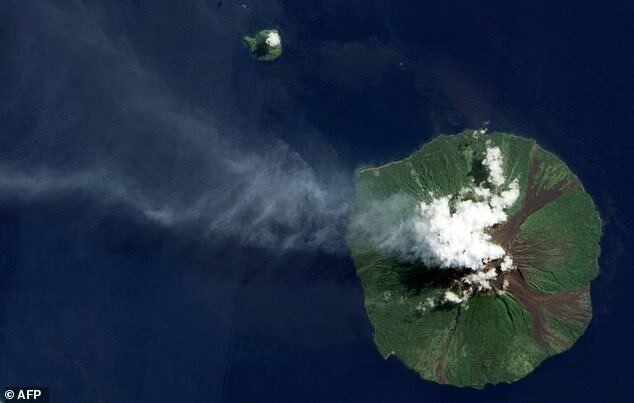 Manam island is a volcanic cone that towers out of the sea north of the Papua New Guinea mainland and has a history of eruptions, with major activity in November 2004 forcing the evacuation of around 9,000 people from the area. The eruption continued into early Tuesday, Ima Itikarai of the observatory said. 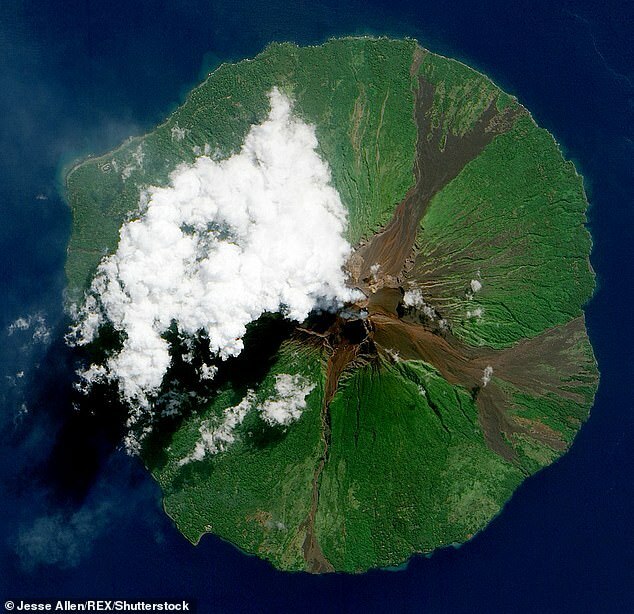 An observatory report said there were ‘small ongoing eruptions’ from the main crater early Tuesday. Lava was channelled into a nearby valley and ‘intermittent bursts’ of volcanic rock falling on villages, adding to a heightened risk of mudflows, it added. The level of seismic activity declined later in the day after jumping early on Tuesday, the agency said. But it warned that Manam was ‘still dynamic and volatile and therefore the potential for further eruptive activity in the future is still high’. Some islanders who were evacuated from Manam 15 years ago and resettled elsewhere on Papua New Guinea recently complained they were still struggling with their new lives, The National newspaper reported.